I'm sorry for the recipe I'm about to show you. I apologize because once you make it, you will be ruined for life. You see, upon eating one single bite of this...you will crave it like no other till the end of your days. Or at least for weeks after. I know this for a fact because it's exactly what happened to my husband and I. It seemed innocent enough to begin with; we were meeting our pastor and his wife for dinner one Saturday night and were told to bring some yummy treats! Treats, as you know, are my thang. So my husband and I brainstormed for the perfect, "Wow 'em" thing we could show up with. I'm lying. I brainstormed. He was certain from literally the first second we were going to bring cinnamon rolls. 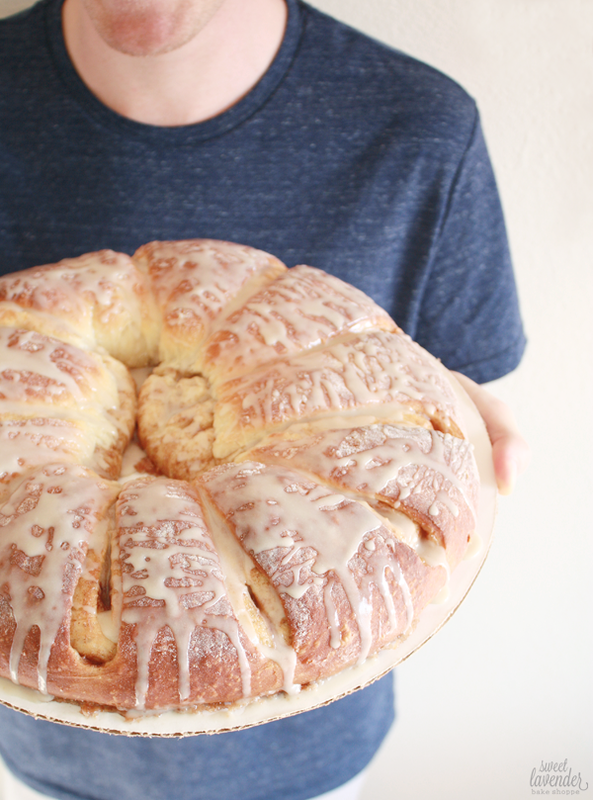 Because, as you know- cinnamon rolls are his jam. I fought it because I'm lame, but in the end, he won ;) As he usually does. Cinnamon rolls it would be. Our compromise was that we wouldn't make standard cinnamon rolls. I don't know why, but I just wasn't feeling it. I wanted to make something brand new- something that when we showed up with, eyes would pop out of their heads. I wanted to see eye-poppage I tell you! Not that homemade cinnamon rolls from scratch wouldn't do that. Again, I was being a lame-o. Anywho, when we came across this Swedish Tea Ring- scented with cinnamon and cardamom and glazed with almond sugariness, we were hooked. 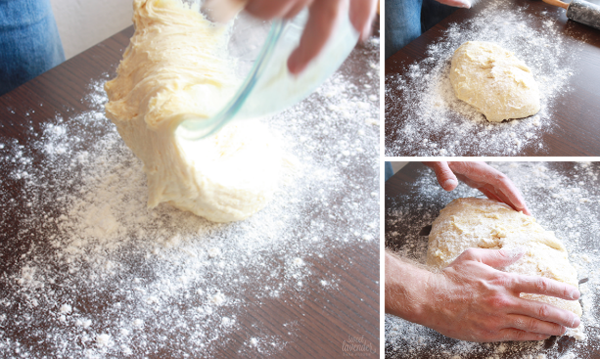 It sounded incredible and sounded easy enough; it's dough was a sweet one, and a no-knead one at that! Score! Don't let the steps intimidate you. 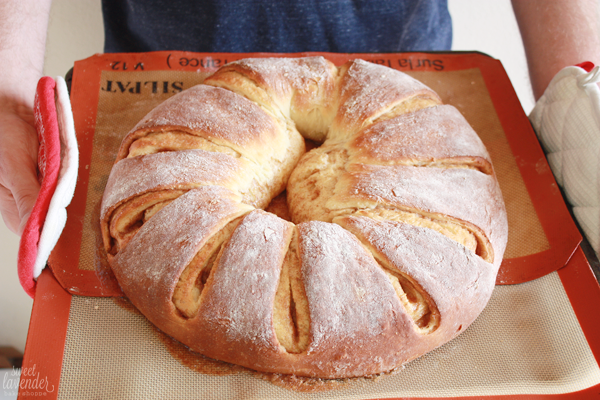 This recipe is actually quite easy and creates such a light and fluffy, delicious, spice scented dessert bread! All you really need is time. Set aside a good half day to make this baby. We were so surprised by how incredibly large and light the end product was too. When I went to remove the pan from the oven, my eyes were the first to pop out of my head because of how much the thing grew! I was also expecting to really use those arm muscles! Nope! Light as air. 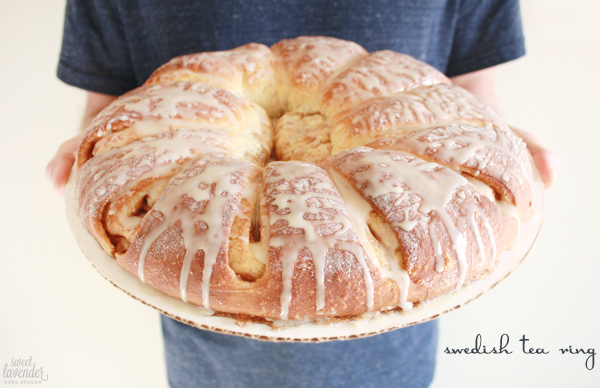 Homemade sweet dessert bread sugary spiced things are all the rage. And easier to show up to someone's house with than you'd think! 1. Into a small sauce pot add your buttermilk, milk, butter, sugar and salt. Warm over low heat until butter and sugar are melted and it is just warm to the touch. If mixture became too hot while cooking, just let sit off heat, until it's just slightly warmer than your body temperature when you touch it. 2. 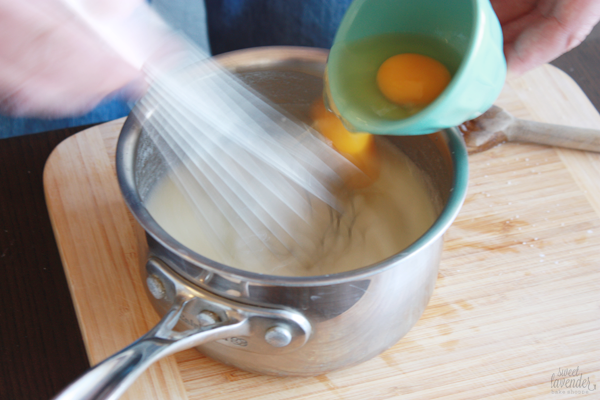 Whisk eggs into milk mixture and set aside. 3. 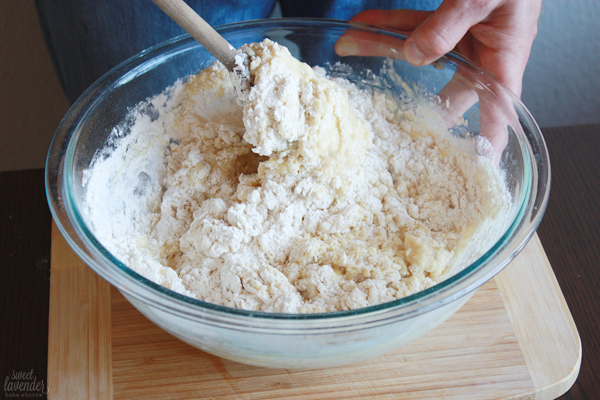 In a large bowl, whisk together the flour and yeast. Add your pot of wet ingredients and stir to combine. We used a wooden spoon for this. 4. 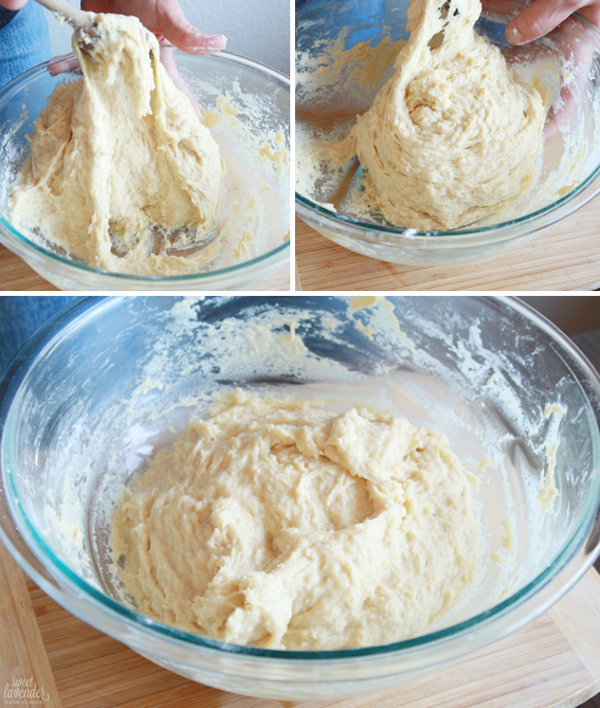 Next, beat your dough for about 1 full minute (or 40 strokes around), making sure to scrape the bottom and sides of bowl. 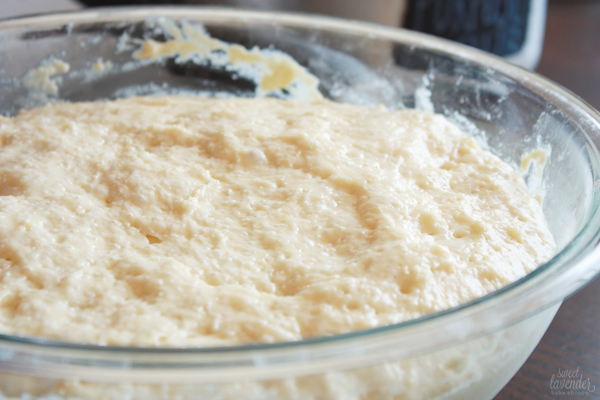 You want your dough to be a lumpy, sticky mass. This is a great time to get your arm workout in for the day! 5. Cover bowl with plastic wrap and allow to sit in a warm part of the house and rise, until doubled in size, or about 1 1/2 hours. You are looking for a dough that is bubbly and puffed, with a sponge-like appearance. 6. Next, line a large sheet pan with parchment or silpats and set aside. 7. 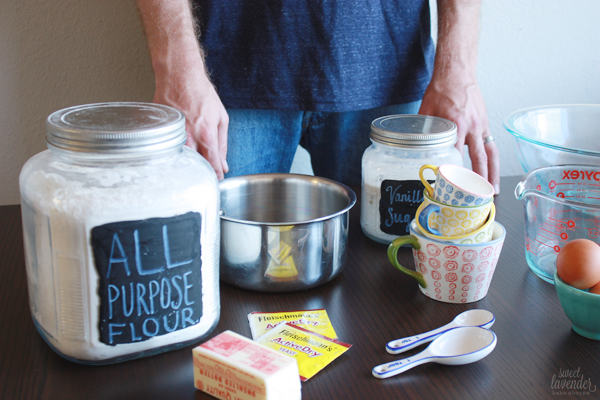 Flour a large surface and place your dough onto it. 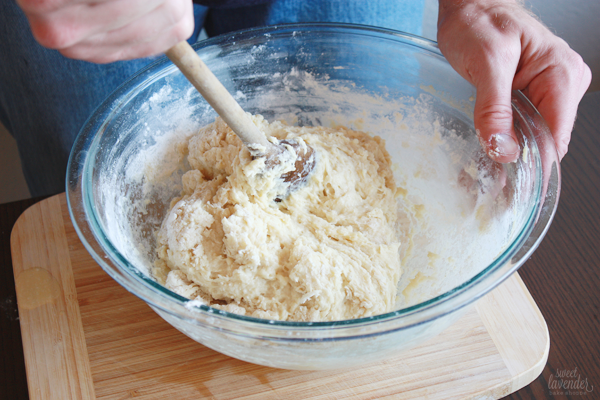 Flour the surface of your dough, your hands and your rolling pin, and roll dough out carefully. 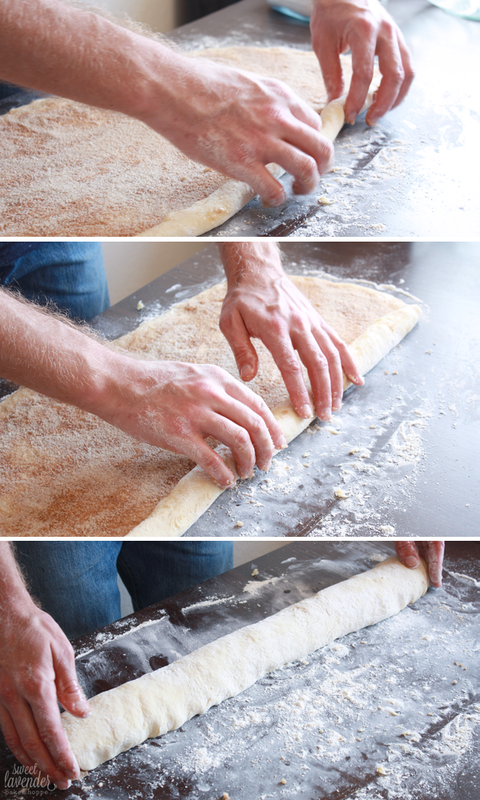 This is a very soft dough, so you will want to roll out as little as possible. 8. 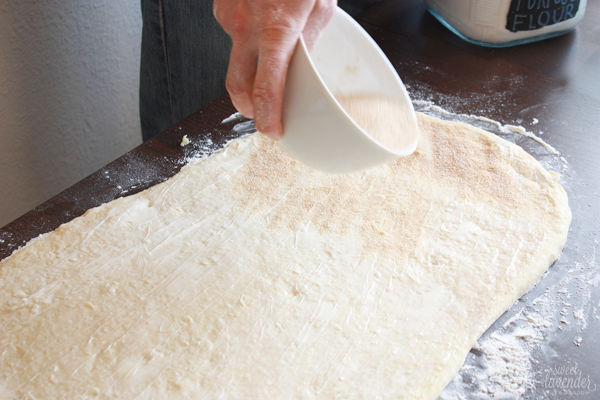 Roll dough out so that it is approximately a 12"x22" rectangle. 1. 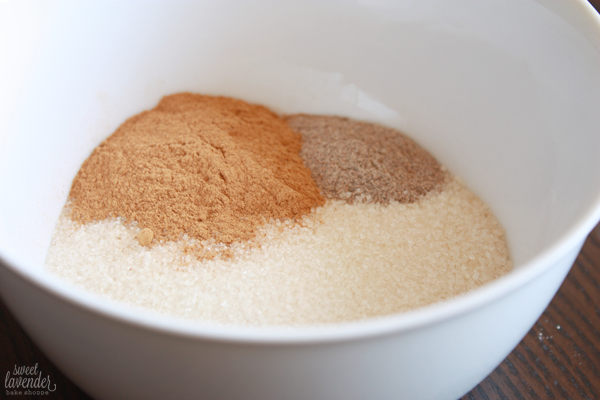 In a medium bowl, mix together your sugar, cinnamon and cardamom. Set aside. 2. 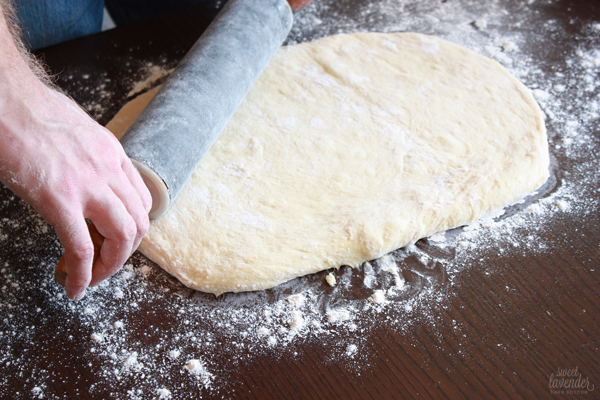 Spread out softened room temperature butter all over the surface of your rolled out dough. 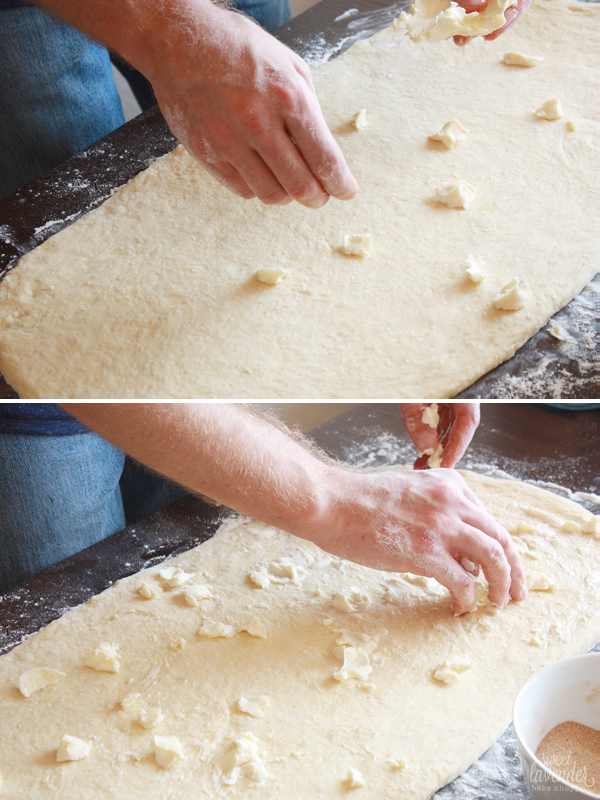 We found that using our fingers for this was the easiest because of how soft the dough was. 3. 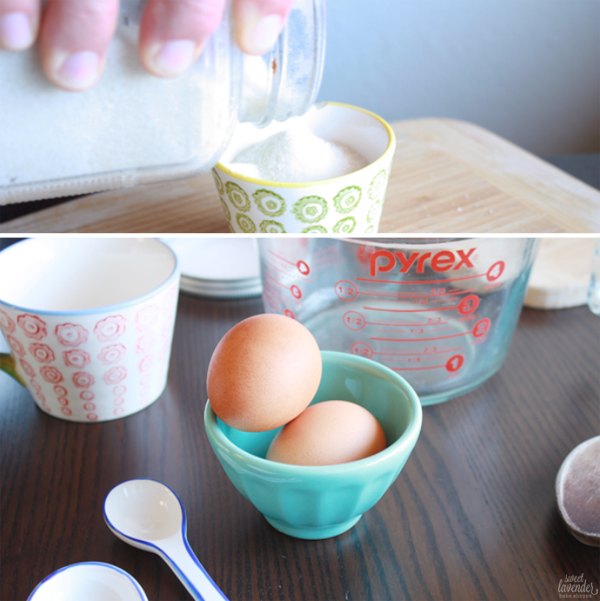 Sprinkle entire surface with sugar mixture and smooth out evenly with your hands. 4. 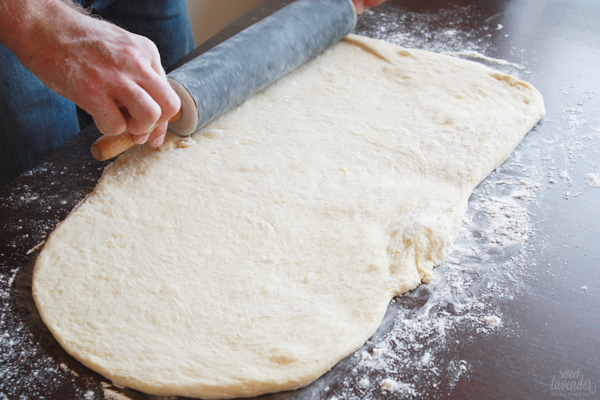 Next, starting with the long end of your rectangle, roll your dough over itself, creating a long 24" log. When you get to the end, pinch the seam closed into the roll. 5. 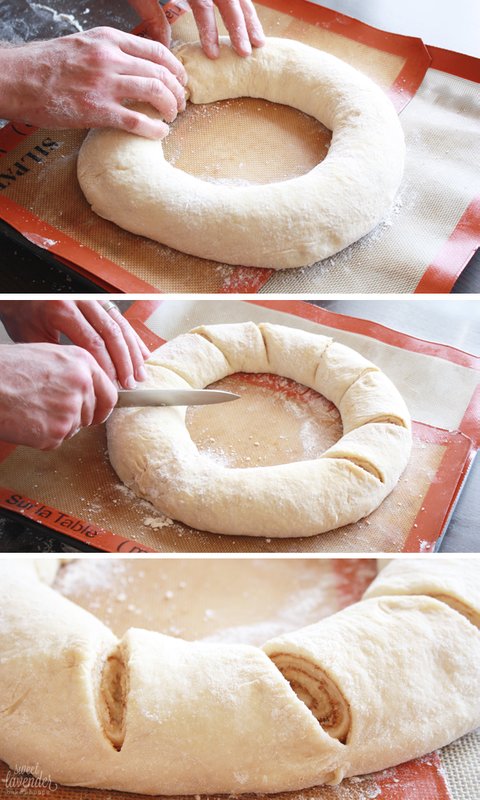 Carefully transfer dough roll onto your prepared sheet pan, seam side down, and bring ends around so that they form a ring. Pinch ends together so that they seal together. 6. Lightly flour any sticky spots of dough that might have formed during this process. 7. With a super sharp knife (we used a small serrated one), cut diagonal slashes into the ring 1/2-3/4 of the way through and at about 2" apart. You're looking to make about 10-12 slashes total. 8. Cover ring with a clean tea towel and allow to sit once more, in a warm part of the house, for another 45 minutes. It will slightly puff up during this time. 9. Preheat oven to 350°F and bake tea ring in the center of the oven for about 28-30 minutes, or until tea ring has risen significantly and is brown all over surface. If you're a stickler for doneness, you can insert a thermometer into the center- you're looking for it to reach 190°F. 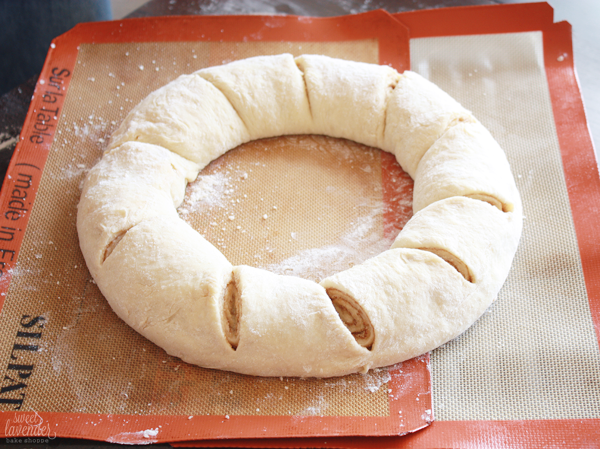 Turn tea ring around in oven, half way through baking time, to ensure even coloring. 10. Allow tea ring to cool 10 minutes on sheet pan before removing and placing on a platter. Then allow to cool completely before glazing. 1. 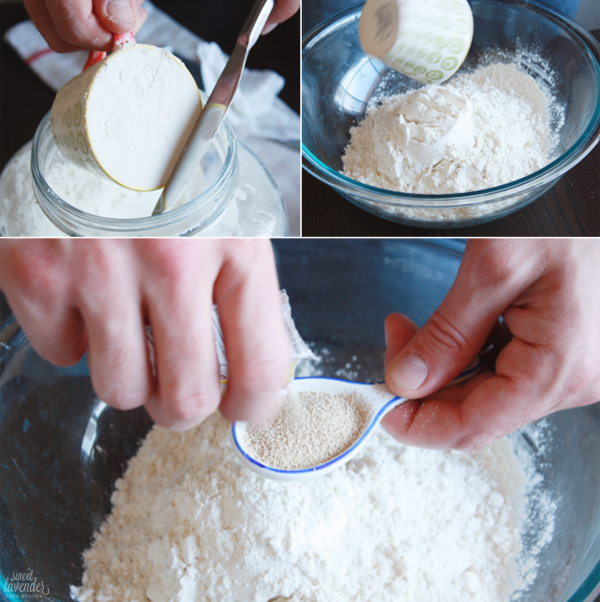 Whisk all ingredients together in a bowl. Allow to sit for 10 minutes and then stir again. Drizzle the entire surface of your tea ring with glaze and serve! Tea ring can be made a day in advance. 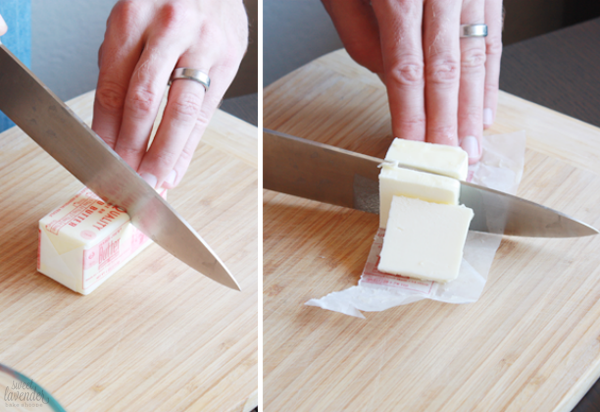 Just cover with plastic wrap and keep room temperature until the next day. Best if eaten day it is made. I mean, could you imagine someone showing up to your house with this monster?! I don't know what I would do. Love them forever and ever, I'm sure. Don't forget guys, this Friday (the 23rd) is the link up date for our Cooks in the Kitchen Challenge! This month's ingredient was SPINACH. Can't wait to see what you all made! Linking up today in Chantel and Elizabeth's link ups!